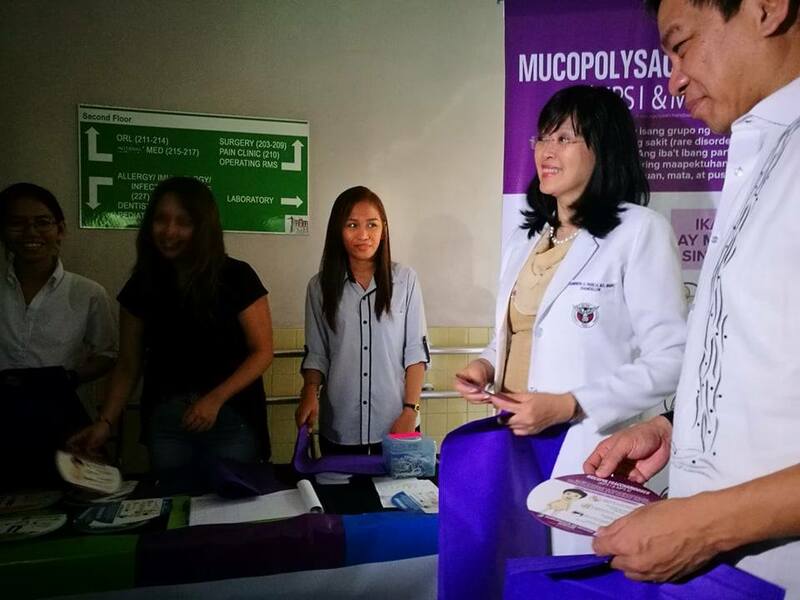 Philippine General Hospital, UP National Institutes of Health and the Philippine Society of Orphan Disorders partners with the Department of Health, to promote public awareness on Rare Diseases. The campaign was held at Phil General Hospital Out Patient Department on October 18. 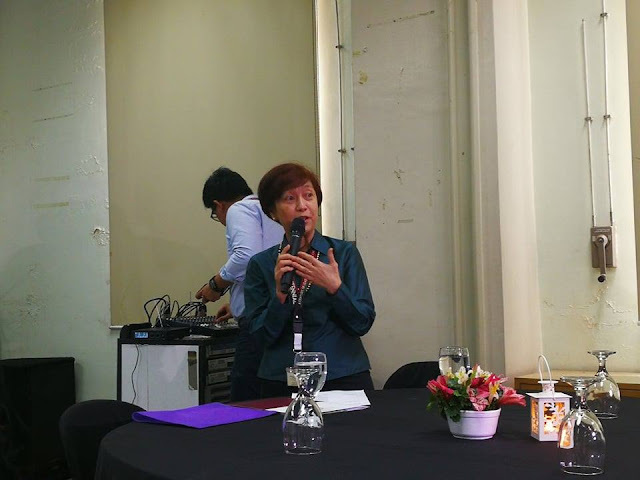 It was graced by Dr. Gerardo Legaspi, PGH Director, Dr. Carmencita Padilla, Chancellor of Manila, Rare Diseases patients and their parents/guardians and bloggers. Pioneering the Care for Rare awareness campaign starting from October 17 to November 16, 2017. As per google search Rare disease (referred to as an orphan disease,) is any disease that affects a small percentage of the population. Most rare diseases are genetic, and are present throughout a person's entire life, even if symptoms do not immediately appear. 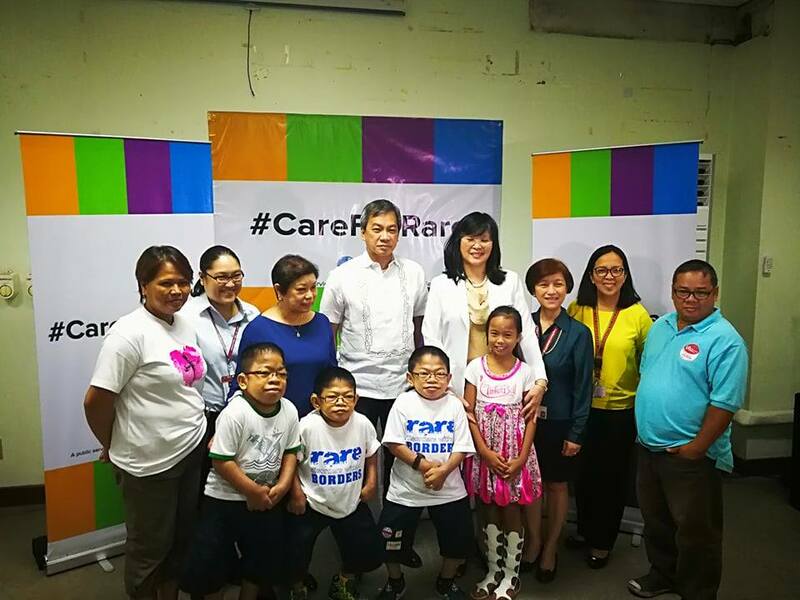 When I attended the Care for Rare awareness campaign on October 18, I was informed that Rare disease cannot detect thru newborn screening alone. Because most are genetics. Some may carry the symptoms thru facial features. Other symptoms may appear thru toddler or earlier than that. If you feel like your child has early manifestations on the rare disease it is better to visit a doctor and let them check as early as possible so that they could be treated. During this month-long campaign, an information table is set up manned by health volunteers who would be giving out informational materials about rare diseases specifically Lysosomal Storage Disorders like: Pompe disease, MPS i &ll, Fabry disease and Gaucher disease. Patients can approach these volunteers to inquire about the diseases as well. As a globally competitive medical and health facility, the Philippine General Hospital is strongly committed to render quality healthcare to the Filipino people through networking and teamwork of its competent, compassionate and ethical health professionals, and by being a center of excellence and leadership in health care training and research that impacts on health policies. Guided by this mission, this PGH Care for Rare campaign aims to bring national attention and awareness on the impact of rare diseases among people and the ways by which families and communities can help realize the spirit and intention of RA. No. 10747 or the Rare Disease Law. The Philippines has achieved a very important milestone when the Rare Disease Act was passed into law which seeks to improve the access of patients with rare diseases to comprehensive medical care and to timely health information that would help them cope with their condition. Rare diseases do not only affect patients but also their families. Thus the presence of a Rare Disease law somehow alleviates the position of which families with a rare disease patient are in. As of the moment, the Implementing Rules and Regulations for die RD law are still being and parents of R0 patients like me are looking forward to its implementation because that will ensure that budget will be allocated to RD programs. This law gives us hope in making sure that people with rare diseases are given a chance at life, says Mrs. Cynthia Magdaraog, President of the Philippine Society for Orphan Disorders and parent of a Pompe disease patient. In the Philippines, a disease is considered rare if it affects 1 in every 20,000 individuals or less. Those afflicted with rare disease or orphan disorders suffer from social abandonment due to lack of existing network of support to aid them. The nature of rare disease is hardly known as well due to lack of information; and only few medical professionals in the country are aware of these disorders and how to diagnose and address these conditions. Medial help is also elusive under the conditions of the country's health priorities. 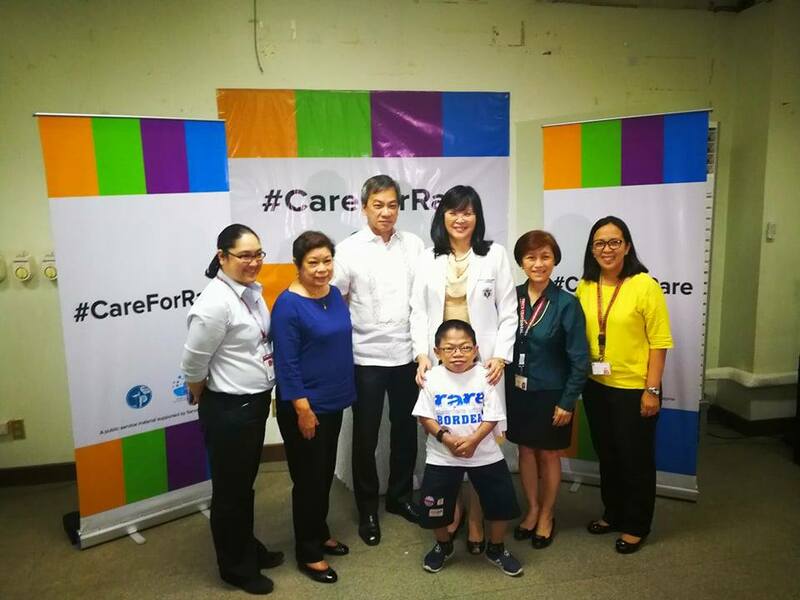 With this information campaign, both the private and government organizations working behind it are hoping to address the need for effective identification and diagnosis of rare diseases among our country's population. Public awareness plays a very important part in comprehensive healthcare; and a comprehensive healthcare respects everyone’s right to life. The campaign for national Rare Disease awareness is a shared responsibility and there is a great need to work together for this to be successful.